Bonaire is a true divers paradise and the nicest shore diving you will ever do. There are yellow rocks along the side of the road on the coastline and each one has the name of the dive site it is in front of. I have only been here once before 10 or so years ago and have been dying to return. You can do 2 dives a day or 6 if you’re feeling froggy. I stayed at this same resort that has just recently been renovated and am anxious to see the updated version. Flights are running between $700.00 and $900.00 at this time so as dive trips go this is a great deal! Cost: $950.00 per Diver or $825.00 for non divers. You will arrive Saturday November 9, 2019 and depart Saturday November 16, 2019. The package includes 7 nights Hotel accommodations, 7 days pick-up truck rental (without Insurance) free wifi, Room safe, 6 days unlimited shore diving, Tanks, Lead, Free nitrox (cert card must be presented) beach chairs, towels, and Daily breakfast. This package excludes Your flight, $25.00 Stinapa (Marine park) fee, optional boat dives, lunches, dinners, Gratuities, truck insurance (available on AVIS website), dive or travel insurance. Be smart and make sure your DAN Dive Insurance is up to date. Eden Beach Resort Bonaire, a cozy site where you will go on your next dive adventure. 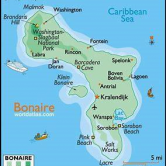 It is located in the Dutch Caribbean island territory of Bonaire in the south Caribbean Sea.